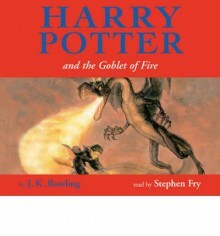 Harry Potter, Book 4 Re-Read:October 18 - October 25I had forgotten SOOOO much. I’m so glad I’m rereading the series via audiobook. I am full of joy and squee and love for this series. I’ll spare you the rambling. ⭐5 stars⭐Dark times lie ahead of us and there will be a time when we must choose between what is easy and what is right.